Some COTS devices lack the capability of efficiently notifying their management system of a triggered event. These devices require the constant acquiring of data (polling) from the device, resulting in a very disruptive communication network and a complex scenario implementation. 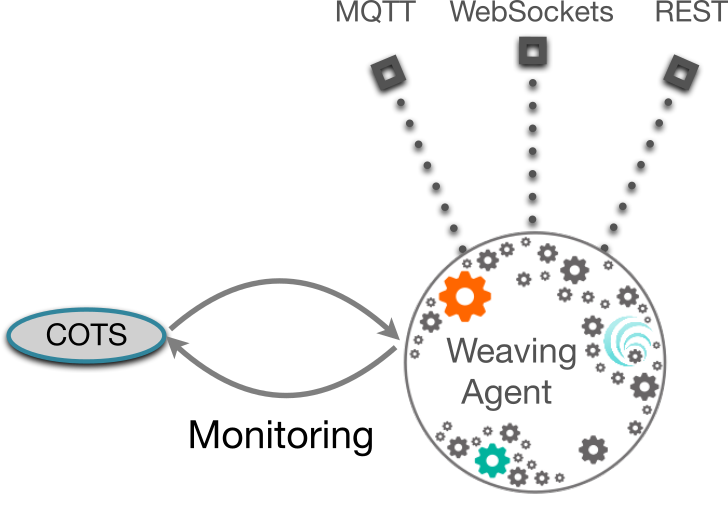 Weaving Agent monitors each device according to a configurable setup, and triggers user-defined events. These events are captured and processed in real-time by the cloud service. 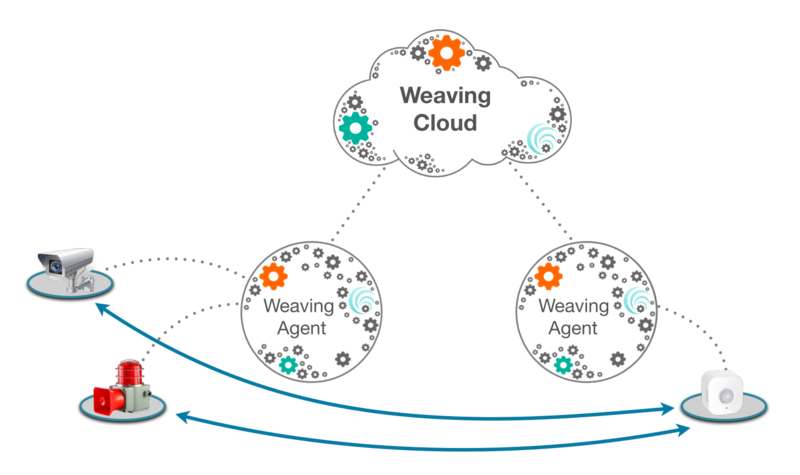 This approach provides efficient connectivity between the local network and the cloud, and can extend the ecosystem of devices across multiple agents achieving event driven inter-connectivity between connected devices.